For many students, drinking and experimenting with recreational drugs are part of the college experience. Drinking is legal for students who are over 21 years old, but with the exception of marijuana in certain states, recreational drug use is illegal. Students who do choose to drink should know how to handle themselves around alcohol and learn what constitutes responsible drinking. Those who elect to experiment with drugs should learn about the potential side effects and consequences of their actions. All students should learn the laws surrounding drug and alcohol use. 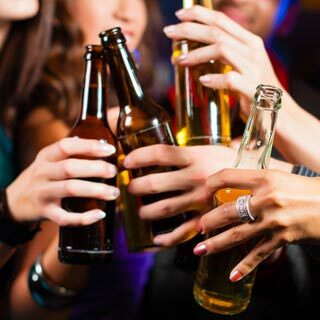 Many college students drink, though the law states that it is illegal to do so before the age of 21. Students who are of age and provide alcohol to minors are also guilty of breaking the law. However, this does little to deter students who are intent on partying. Knowing your limits and how to drink responsibly before heading out for the night will save you more than just a headache in the long run. Learn about (and avoid) the interactions between alcohol and other drugs, and know what constitutes binge drinking, a potentially dangerous habit to develop. Recreational drugs, excluding marijuana in certain states, are illegal. Students, however, are known for experimentation, and many find a way to get their hands on various drugs during college. Common drugs found on college campuses include marijuana, Adderall, Vicodin, Ritalin, ecstasy, and cocaine. Each of these drugs affects the brain in different ways, and long-term consequences can be dangerous. 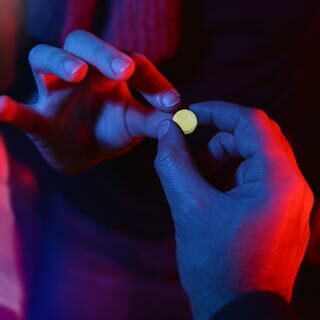 Should a student experience symptoms of an overdose after electing to try recreational drugs, the Good Samaritan laws of some states will protect them and those who call emergency services on their behalf.